It's official: the reason behind the recent rebound in the economy can be explained with two words: "charge it." Readers may recall that one month ago, we reported that with Republicans in Washington on the verge of passing their first major piece of legislation in the form of comprehensive tax cuts that will allow Americans across the income spectrum to keep a little more of their hard earned cash in 2018, it appeared that U.S. consumers already "pre-spent" their savings using their credit cards. 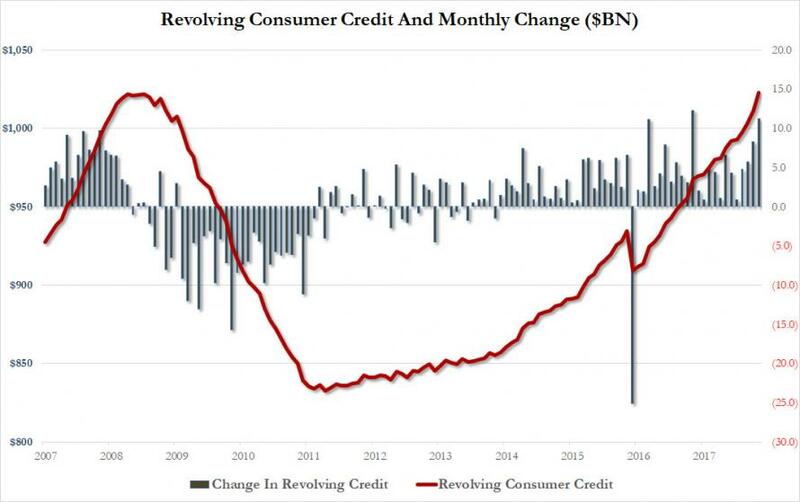 Meanwhile, non-revolving credit - or auto and student loans - rose by $16.8 trillion to $2.805 trillion. 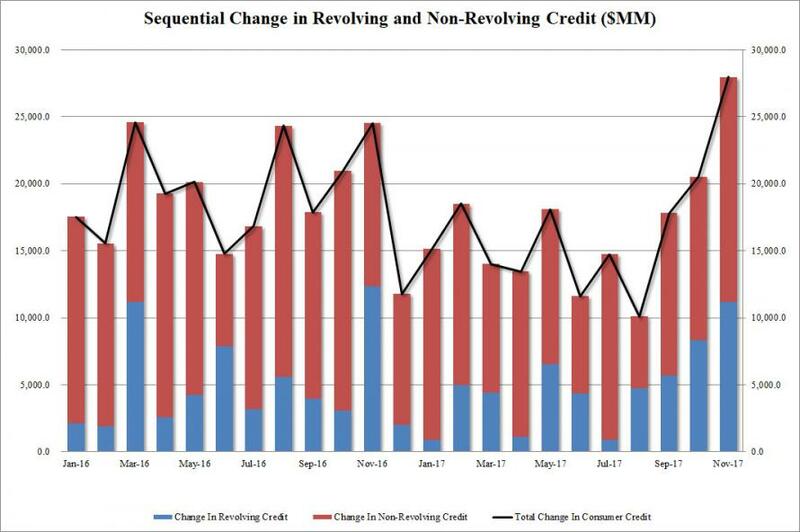 Nonrevolving lending to consumers by the Federal government, which is mainly student loans, rose to $1.142t, on a non-seasonally adjusted basis.